This is my daughter Inga with Lucy, truly the best dog on the planet. It was fun to paint a woman with a happy expression. The undulating folds of her scarf were also a joy to design and paint. The china belonged to Inga's great great grandmother. The little princess is a ceramic statue she painted one summer long ago with her grandmother. The books behind the princess are Franklin editions illustrated by her father Stan Hunter, a gifted illustrator who died in 2000, and by me. I was thrilled that this painting was accepted to the 27th Annual Art Show at the Dog Show in 2013. 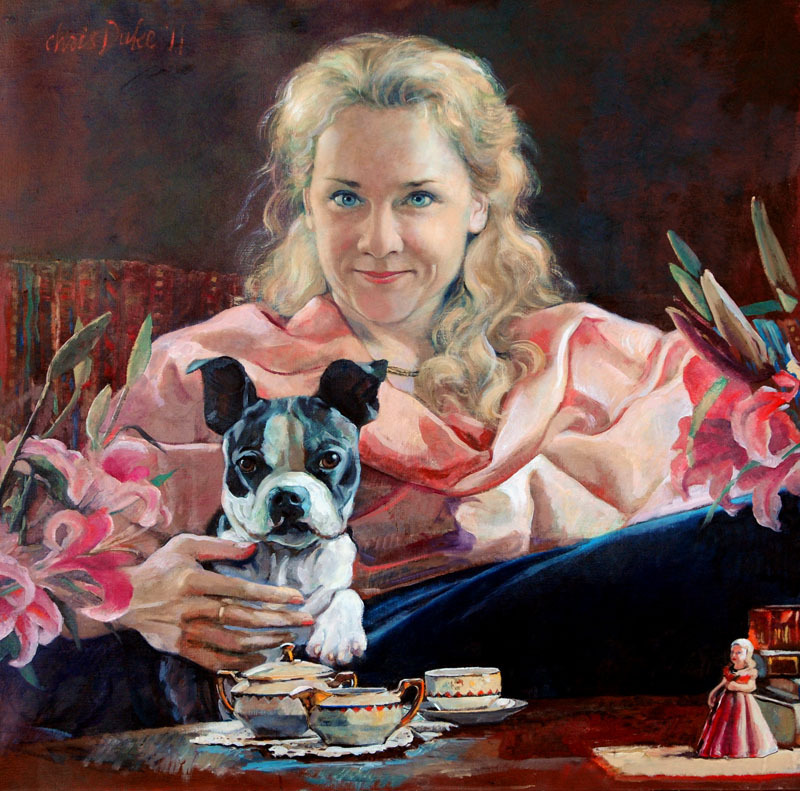 Please see my News update about this national juried canine art show.